The USSSA Martin Luther King Tournament is a competitive tournament held in Phoenix, Arizona in which Team BLE will enter a 15U and 16U team in those two Divisions. 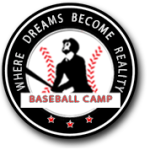 This BLE event will include on field workouts and inter squad/exhibition games over three days ( Jan 11 – 13 )followed by the tournament being held from January 14 to 16 (four games guaranteed – weather permitting). The trip will also include a Showcase workout on the Thursday morning, Jan. 12 in front of College recruiters and MLB scouts from the surrounding area. Coaches will include Former Canadian Olympic team coach and MLB scout, Marty Lehn, five time World Series ring holder and former MLB catcher and coach Bob Didier, 12 year major league pitcher and World Series winner, Albie Lopez, former professional player Kyle Dhanani along with two time MLB All – Star Shea Hillenbrand.